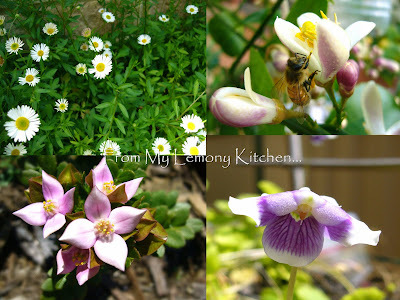 From top left (clockwise): English Seaside Daisy, Bee pollinating Lemon meyer flower, Boronia Alata, native ground cover. clap! Clap! It's beautiful and happy holidays!